On behalf of the City of Hammond, I am excited to announce and invite your baseball team(s) to what has become one of the premier summer invitational tournament in the region. 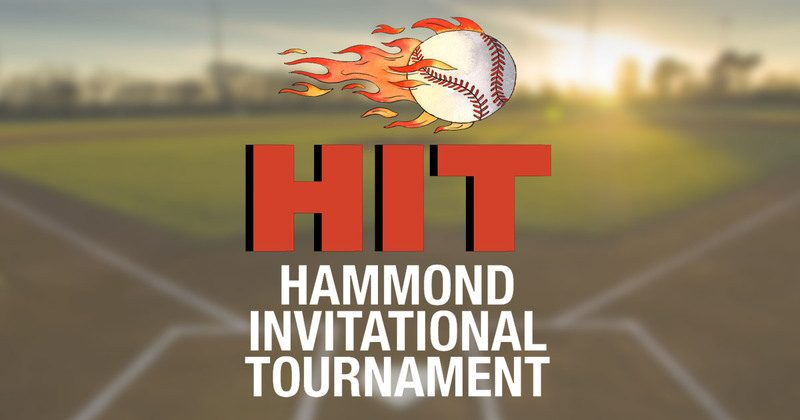 From June 1st – 3rd, the fourth annual Hammond Invitational Tournament (HIT) will take place throughout Hammond. Over the last several years, my administration has invested millions of dollars on upgrading the youth sports facilities around the city. We are excited to host this tournament and have you and your team(s) visit and compete at our sports complexes. The tournament will be comprised of three divisions: 10U; 11U; and 12U. These teams will compete in pool play and then a single elimination finals bracket. The finals bracket will be determined by pool play. Hammond is proud to be able to have the first class facilities to host this tournament this year and in the years to come as we hope to grow it from a regional to a Midwest tournament. The amenities in and around the ballparks will ensure that there are fun things to do both at the games as well as before and after for your players’ entire family. Where: Dowling Sports Complex, Hammond Optimist Park, and Hessville Little League (Caldwell Youth Sports Complex). The championship games will be played at the brand new Dowling Park Complex on the turf field. Engraved HIT championship bat and trophy bats for each player on the championship team. Below you will find a team registration form, preliminary roster form, tournament rules, maps to the facilities, and photographs of the facilities. Based on the feedback we have received already we anticipate this tournament filling up very quickly and therefore look forward to hearing back from you in the near future. 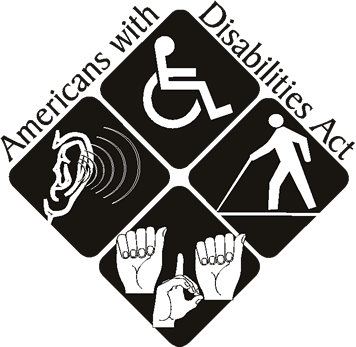 If you have any questions, please feel free to contact our HIT coordinator Sharon Daniels at 853-6501. I look forward to seeing you at HIT on opening night, Friday, June 1st! Download Registration & Roster forms here. A full team packet with all info and registration forms can be downloaded here. Download a pdf of these rules here. Team Exposure will use the OFFICIAL RULES OF MAJOR LEAGUE BASEBALL for all tournament play. Managers need to have available team rosters and proof of age for all players in case of questioning. When requested, unless otherwise arranged, acceptable Proof of Age for all Team Exposure Event participants shall be presented to Team Exposure Event Officials as being in the form of original or certified copies of Birth Certificates or current Passports. Rosters cannot change once a team’s first game in a Team Exposure Event has begun. If a player is found ineligible before a game or tournament,that player will not be able to participate in that event unless it is with a team with the correct age. If a player is found ineligible during an event, his team will have to forfeit all games that have been completed, and that player will not be able to participate in that event unless it is with a team with the correct age. If a player is found ineligible during a game, the player will be ejected and the game restarted. His team will have to forfeit all games that have been completed, and the player will not be able to participate in that event unless it is with a team with the correct age. Coaches need to be properly dressed. Coaches can wear shorts that are neat or coaches shorts. Metal spikes can be used by age divisions 13 and older. No exceptions. 14 and Under must be stamped 1.15 BPF, BBCOR or WOOD with no restrictions on weight drop. Ages 15U-18U are BBCOR or WOOD must use bats with minus 3 weight differential. The local tournament director can determine game time limits. No new inning can start after the time has expired,except in the case of a tie. Teams will then have 1 inning to break the tie with a runner on second with 1 out and a 1 ball,1strike count on the batter and that runner will be the batter that made the last out in the previous inning. In elimination games, the game shall continue until the tie is broken using the same format as above. In Championship final games,games shall continue in a regular game format until the tie is broken. Must be a player not currently in the line-up. Can be used for the pitcher or catcher and mandatory for the catcher with two outs. If batting all players the last batted out will become your courtesy runner. A courtesy runner does not hinder a player’s re-entry status. You may substitute players at any position as much as you want, but they have to stay in their original batting order. You may not substitute freely with pitchers, except for the rule below. Starting pitchers can re-enter the game once,however, a starting pitcher can not return to a pitching position once they have been removed from the starting line-up. If a pitcher is removed from the mound and placed into a field position or DH-EH without being removed from the starting line-up,that pitcher is allowed to re-take the mound as a relief pitcher no more than one time during the game. A team can elect to bat as many players as it so desires, up to it’s entire line-up, however,if a player is injured or not able to compete further once the game has begun,then their line-up batting position shall be recorded as an out whenever their turn at bat is attained for the remainder of the game. If a player is injured by an act from the opposing team,then the tournament director can over turn the automatic out,if he feels it was caused intentionally. If a team is reduced to 8 players after a player leaves because of injury,they may finish the game if they so choose. 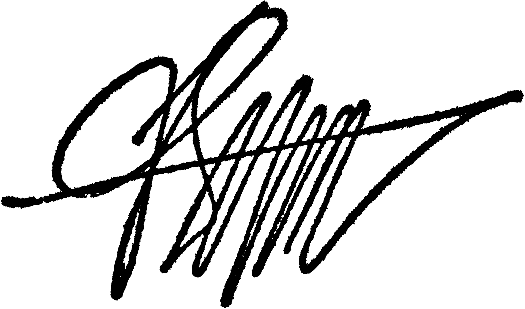 An EH (extra hitter) may be used by a team during all aspects of of play in unlimited quantity,up to batting their entire roster, however,they must declare to do so before the start of the game. If a team chooses to use an EH(‘s), it must use 10-player or more line-up for the duration of the game. The EH is treated like any other position in the line-up. If a team is reduced to 9 players for any reason,an out shall be recorded each time that particular position in the batting order comes around. In standard play,if the EH enters the game for the player who the DH is hitting for,the DH will then become the EH. If the DH is substituted for,he may re-enter. A team loses the DH if he takes a defensive position,or if the player he is hitting for or a substitute for the players he is hitting for bats. If any manager, coach,player, or fan is ejected from the game,they must leave the park and cannot return until the next scheduled game. If they are ejected a second time they will not be able to return until the end of the tournament. Failure to abide by this rule will result in forfeiture of the game. Base runners sliding into second to break up a double play must slide into the bag. All calls regarding rough play, sliding, etc., shall be left to the umpire’s judgment. A player that is able to avoid a tag by sliding under,jumping over, or going around an attempted tag shall be determined to be safe,unless the umpire deems the player have been guilty of unsportsmanlike conduct or in violation of running out of base bath. A game can be considered complete after 4 innings (3-1/2 if the home team is ahead ) if the umpire or tournament director call it due to bad weather or other uncontrollable conditions. Final decisions as to the resumption or completion of suspended games shall be the responsibility of the tournament director. If event teams are tied by overall won-loss record, all ties will be broken in the following sequence. Only 4 adults per team are allowed in the dugout and only 3 coaches are allowed outside the dugout during the game. Teams are responsible for cleaning up their dugout at the conclusion of the game. Home and visitor will be decided by a coin flip up until the seed round (only when there is an odd number of teams) or semi-finals in which the higher seed will have choice to be home or visitor. The Championship game will be the higher seed’s choice for home or visitor as well. The manager shall prepare 3 copies of their line-up with individual player first & last names,individual player jersey number,field position playing, and any substitutes before the start of the game. Copies be given to the umpire,opposing manager,and official scorekeeper. If a player is omitted from the line-up card, they shall not be permitted to play for that game only. Unless otherwise designated, the umpire and or the home team shall have the responsibility of providing the official scoring information for all events. If an official scorekeeper is provided for an event, their record of team scoring & statistics shall be utilized only to resolve scoring disputes, not to provide official team game statistics for the tournament statistician. There are no pitching limits other than those according to Major League Baseball rules. During the their first mound visit a pitcher may be moved to a field position & then returned to the mound after at least one batter has been pitched to by a relieving pitcher, this may done a maximum of once per pitcher per game. Any pitcher removed from the mound by their second visit by a manager, in the same inning,will not be allowed to return to pitch that particular game. Any disorderly behavior,threat,or act of violence shall result in removal and arrest of the responsible individual(s).Security personnel shall remove any person that is intoxicated from the grounds. Any person that is removed for these reasons shall not be allowed to return for the remainder of the tournament and no refunds will be given. If any manager,coach,player,or fan is involved in any fighting, they will be ejected from participating in the rest of the tournament. The second occurrence takes place by anyone associated with that team, the entire team will be removed from the tournament. The use of tobacco products on the field or in the dugout is prohibited. Tournament directors have the right to modify and or change tournament schedules,fields, and or any other arrangements in order to finish the tournament. Protests will be resolved right away. Managers are the only ones that can protest. Judgment calls by umpires cannot be protested. The manager must submit a protest fee of $100.00 cash in order to protest. If the protest is upheld,the $100.00 will be refunded. If it’s not upheld,the amount shall be surrendered. The tournament director shall consult with the umpires or umpire in charge in resolving any protests. Any team that does not show up to a tournament game,unless a medical emergency or unavoidable transportation circumstance can be proven and documented, can be disqualified from participating in the remainder of the tournament by the tournament director or higher authority. No teams can surrender during any tournament game. Games must be played through until completion according to the tournament rules. If a team does pull itself off the field and quit before the game has been completed, disqualification from the tournament will result, and no refund of any kind will be given. Any team(s) that connives with another to decide the result of a game,or any team trying to lose a game or limit the score to influence the standings, will be disqualified from the tournament immediately.